When it comes to Valentine’s Day dates, it’s easy to get stuck in the rut of “dinner and a movie” or spending the night in with some wine and Netflix. Don’t let Valentine’s Day get boring; plan one of these unique and fun nights out. It’s like a regular bar crawl, but classier! Instead of heading out to one place to wine and dine with your significant other, look up different wine bars and wineries around your town. Do you and your sweetheart have a penchant for showmanship? Even if not, it’s fun to get up in front of people and thoroughly embarrass yourself singing a duet. Trust us, nobody sounds good – that’s the fun of it! A lot of comedy clubs will have Valentine’s Day themes in honor of the holidays, so look around your city for some places that will combine dinner with a few laughs. Maybe you and your significant other have an interest in the paranormal. A lot of towns and cities will have tours of allegedly haunted spots in the area, so make a point to check those out. Trying to save a bit of cash? Cook a romantic dinner at home for the two of you and follow it up with a trip to a nice restaurant for dessert and/or cocktails. 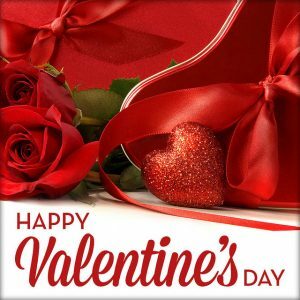 These great Valentine’s Day dates are sure to give both of you lots of memories for a unique, fun, and – best of all – romantic night out.